The silk worm is very sleepy but ever present. She plays a very important role in helping save the peach from the sharks and goes into business with Spider at the end of he book. This mask is among the favorites. It is very playful and has a lovely kind and gentle energy. 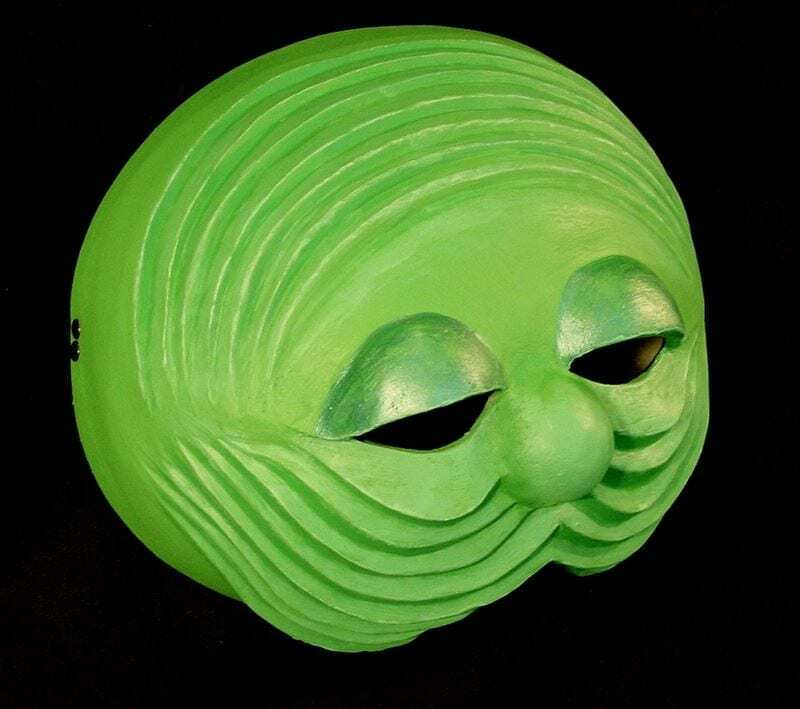 The silk worm character half mask is a neoprene mask, extremely durable and adjustable for a variety heads sizes.